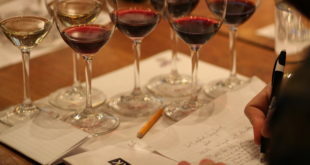 In order to better understand the attitudes and purchasing behaviors of American wine consumers toward wine closures, the Portuguese Cork Association (APCOR) and the California-based Cork Quality Council conducted a joint study performed by U.S. wine market research company, Wine Opinions. Among many findings, the survey revealed that American wine drinkers prefer cork closures. 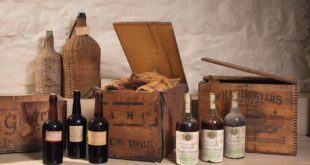 In addition to an overwhelming preference for cork closures, cork was also regarded as a marker of high or very high quality wine by 97% of consumers. 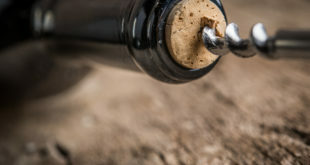 The survey found that natural cork is the closure of choice for 91% of wine purchased at a restaurant, 93% of wine purchased as a gift, and 86% wine purchased to bring to a dinner party. 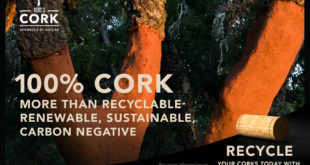 One surprising finding from the survey, according to Executive Director Peter Weber of the Cork Quality Council, was that consumers still need help understanding and appreciating the environmental and social benefits of natural cork over plastic stoppers and screwcaps. “The fact is that cork is a 100 percent renewable and sustainable natural resource, harvested every nine years without damaging the tree. It not only provides important CO2 retention, a crucial tool to fight climate change, it also provides one of the world’s 36 most important biodiversity hotspots. In the era of climate change, education about natural cork’s environmental and social benefits is becoming more and more of a focus, and we still have work to do to fully engage the public on this topic,” notes Weber. The positive environmental attributes of natural cork have also been recognized by the International Organisation of Vine and Wine (OIV), the world’s governing body for global wine production. In the 2011 “General Principles of the OIV Greenhouse Gas Accounting Protocol for the Vine and Wine Sector,” OIV’s resolution to help address the harmful effects of climate change encouraged wineries around the world to consider each individual cork’s ability to retain as much as 3.95 ounces when calculating the carbon footprint of bottled wine. A total of 1,549 consumers participated in the study and questions asked were cross-tabulated by gender, age, frequency of consumption, price bracket of purchases, importance of closure type, and those who age their wine. Respondents stated that natural cork evokes an important sense of heritage, while the enjoyment of opening wine sealed with a cork, the “pop” and the “ritual” creates a unique distinct moment of consumption.